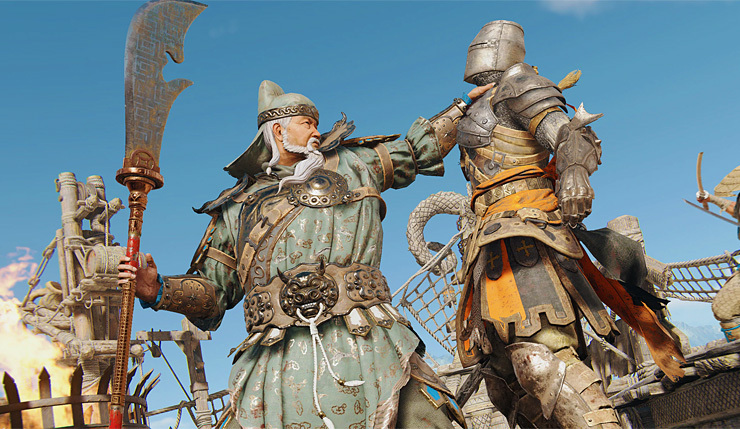 Ubisoft’s resilient multiplayer hack ‘n’ slash For Honor is marching forth with 12 months of new content. 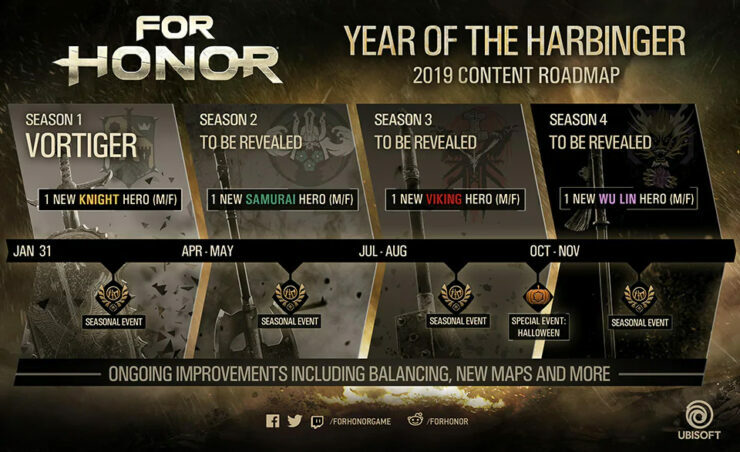 Year 3 goes by the name “Year of the Harbinger” and features four seasons, each of which will include one new Hero and a seasonal event. 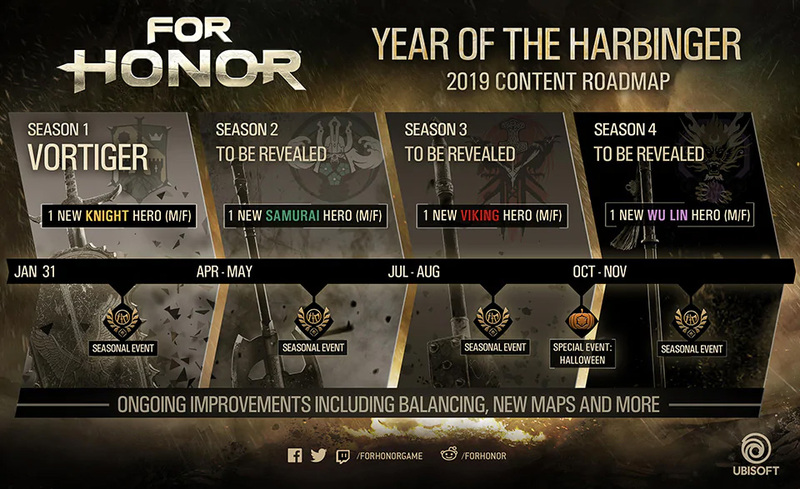 Season 1, entitled Vortiger, will include a new Knight Hero, and the following seasons will add Samurai, Viking, and Wu Lin fighters to the mix. You can check out the full roadmap below (click on the image for full resolution). As in the past, you can buy the new Heroes and other Year 3 content with Steel, which can be earned in-game or purchased with real-world money. Alternatively, you can purchase the Year 3 Pass, which gets you one-week early access to new content and frees you from having to worry about Steel. The Year 3 Pass, which will set you back $30, is already available for pre-purchase. For Honor is available on PC, Xbox One, and PS4. Anybody out there still playing For Honor? Are you excited for a third year of content?